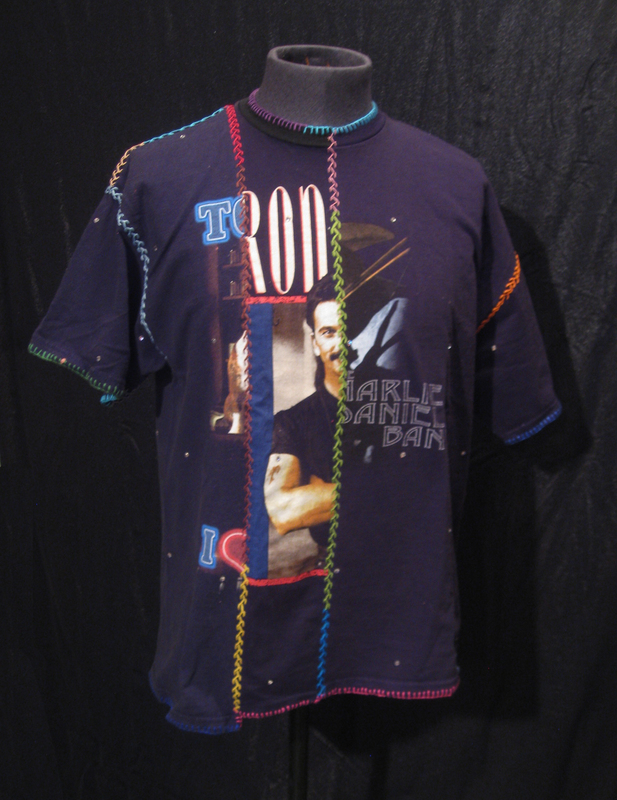 Home / Larry Krone BRAND Patchwork Couture (The Expensive Stuff) / SOLD! 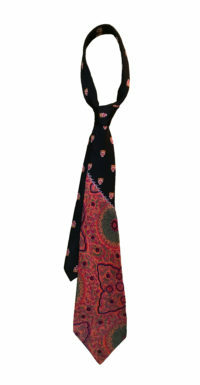 Please shop our other fine neckwear items! View cart “House of Larréon/Larry Krone BRAND patchwork dress (Justin Bieber, Ally McBeal baby, Elvis TCB)” has been added to your cart. 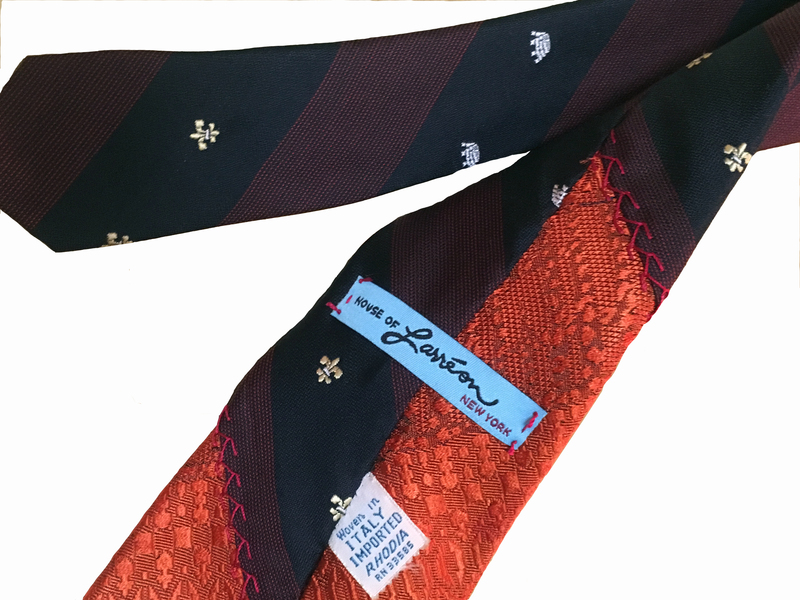 To make a One-of-a-Kind House of Larréon Patchwork Couture Necktie, I meticulously dissect and reassemble vintage neckties, then hand-embroider their joining seams with 100% silk thread. Only after each newly assembled, embroidered tie passes the most scrutinizing inspection by the House of Larréon Couture Cuality Control Crüe (or the “HOL C to the 4th Power”), do I then lovingly brand each unique tie with the House of Larréon label. 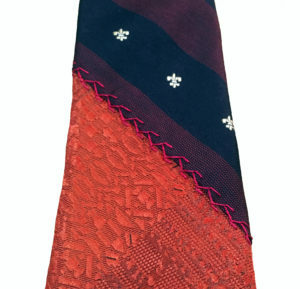 This tie is made from 2 high quality polyester ties from the 50’s or 60’s. 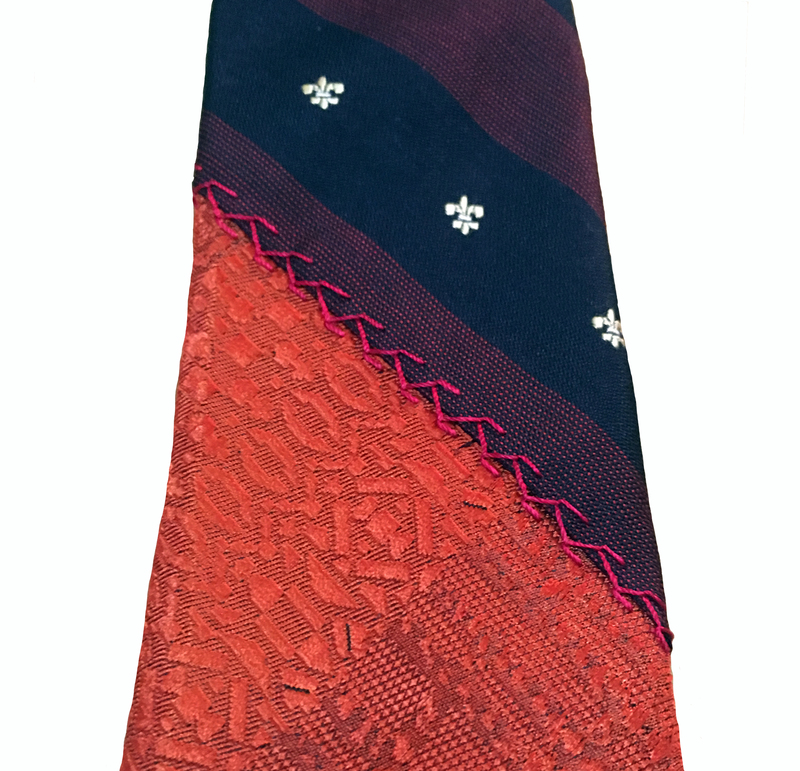 This tie is 57″ long and 3.25″ wide at its widest point.